Kurt Repanshek of the National Parks Traveler wrote a great review of Tidewater: The Chesapeake Bay in Photographs” which appeared on their website today. NPT is getting to be the most complete and definitive e-zine on National Parks affairs. Kurt has previously written on the WWII Memorial book and is going to do a review on the revised edition. “Four-hundred years have passed since Captain John Smith explored the Chesapeake Bay, searching for food to help nourish the Jamestown colonists. Since his voyages from 1607-09, much has changed along the bay, though pockets of the past likely remain in the nooks and backwaters of the Chesapeake and its tributaries. 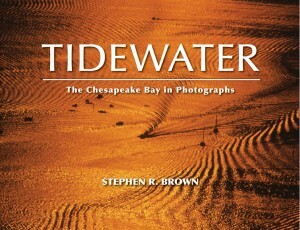 July 13, 2012 | Filed under About the Book, Blogs, Tidewater, WWII Memorial and tagged with Bay, Chesapeake, Current Affairs, Environment, Estuary, fishing, Mall, National Park Service, Tidewater, Travel.